The Houston Rockets have made waves during the 2013 NBA offseason, signing All-Star center Dwight Howard to a four-year deal worth $88 million. In the days since the agreement was reported, trade rumors have surfaced in reference to point guard Jeremy Lin and center Omer Asik. While there may be attractive options, Lin is the perfect point guard for the new-look Rockets. Chris Broussard of ESPN was one of the numerous journalists to report a potential Lin for Josh Smith sign-and-trade with the Atlanta Hawks. With Smith signing with the Detroit Pistons, however, that possibility has been eliminated. 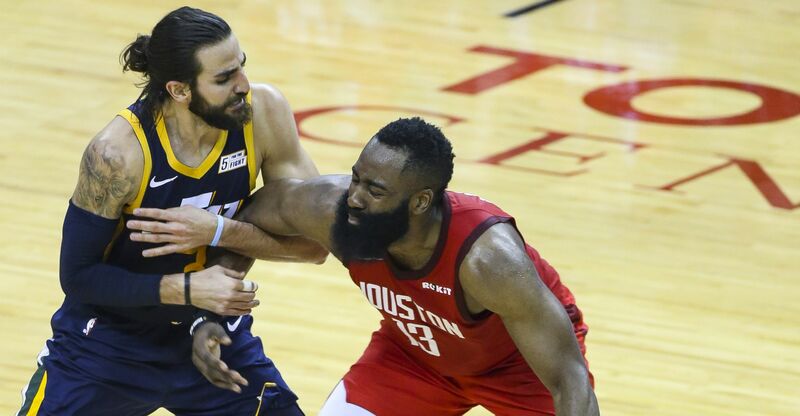 Rather than contemplating alternate trade scenarios, the Rockets would be best to stand their ground with their mercurial point guard. Jeremy Lin has holes in his game that he must address to make the leap to the ranks of the elite point guards. His jump shot is inconsistent, his three-point range is limited and his all-around defensive abilities are less than desirable. If there's one thing Lin has mastered, however, it's running the pick-and-roll. Lin has the perfect build to serve as a pick-and-roll facilitator at 6'3", giving him the size to survey the passing lanes and make a variety of entry passes. Once the dive man attacks the rim, Lin does an excellent job of hitting the perfect angle to draw both defenders' attention. It's then that Lin can either take his man off of the bounce or make the feed for an assist. Working with Omer Asik, this wasn't a strength that Lin could make the most of, as the big man displayed hands of stone. Without an athletic dive man to take passes and finish at the rim, Lin's game was thus limited. With Dwight Howard, that wouldn't be an issue. During the infamous period of Linsanity, Lin used a variety of different athletic big men to maximize his pick-and-roll facilitating abilities. From Tyson Chandler to Amar'e Stoudemire, the Knicks employed multiple athletes to finish around the rim. Who better to help Lin return to glory than D-12? Offensively, Howard makes his money as a pick-and-roll finisher that can set power screens and finish in traffic. While he's not particularly skilled outside of the paint, Lin can work with James Harden to run a dual ball-handler set with the high screen game. Something teams such as the Los Angeles Clippers and Miami Heat have done to perfection. Lin will need to improve his jump shot to keep opposing defenses honest, but if he's able to, he and Howard would form a close to unstoppable chemistry. Lin naturally looks to high screens, while Howard is more inclined to step out to the perimeter and dive than he is to set up out of the post. If you're really hung up on Lin's deficiencies, however, there is something to keep in mind. Jeremy Lin became a superstar in a matter of weeks, taking part in a period of Linsanity that will forever live on in the NBA record books. Since then, he's been compared to players such as Chris Paul and Rajon Rondo as the community looks to maintain his supposed superstar status. Oh, how quickly we forget how young and inexperienced Lin truly is. Lin is currently 24 years old with 107 career starts under his belt. Prior to playing from the opening tip in all 82 games for the Houston Rockets in 2012-13, he'd made just 64 total appearances and 25 in the starting lineup. So why is it that we're expecting him to be elite? Lin is at least two years away from his prime, which is quite encouraging considering he averaged 13.4 points, 6.1 assists, 3.0 rebounds and 1.6 steals per game. This is nothing short of surprising, as Lin simply wasn't trusted to run the show in Houston. Lin saw his usage rate drop a full 7.0 percent from 2011-12 to 2012-13. After the All-Star break, Lin showed just how rapidly he's improving, averaging 14.9 points and shooting 37.5 percent from beyond the arc. This comes on 3.6 attempts from distance, thus displaying Lin's most underrated trait. Lin continues to improve, and if Houston is patient and displays more trust in his abilities, it will pay dividends. Even as he struggled to adjust to a new system, he put on a strong season with minimal weapons surrounding him. With Dwight Howard in the mix, why trade a player with elite pick-and-roll potential before his prime arrives? At this stage, there truly is no reason to do so.